New, Used, or Certified Pre-Owned vehicle pricing includes all offers and incentives from the manufacturer and the dealer. Tax, title, license, destination, and fees are not included in vehicle prices shown and must be paid by the purchaser. Pricing requires financing with Nissan Motor Acceptance Corporation at standard rates. Some rebates and incentives may need to be qualified for. While great effort is made to ensure the accuracy of the information on this site, errors do occur so please verify information with a customer service rep. This is easily done by calling us at (801) 290-0302 or by visiting us at the dealership. We appreciate your interest in our inventory, and apologize we do not have model details displaying on the website at this time. Please fill the form out below and our team will quickly respond, or, please call us at (801) 853-8221 for more information. 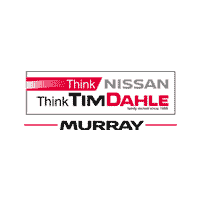 Tim Dahle Nissan Murray	40.672940, -111.889150.